Sean Tillman is a native of Louisville, Kentucky and a second generation attorney. He began his career with the law firm of Sales, Tillman, Wallbaum, Catlett & Satterly, PLLC and then worked at Tillman, Cade & Schoen, PLLC. He now operates the personal injury practice at Tillman Law Office, PLLC. Sean has spent the majority of his legal career devoting his practice to representing those who have been injured by the reckless and negligent actions of others. 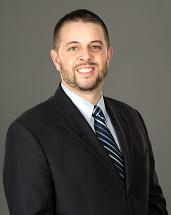 Sean started handling personal injury cases after being involved in a serious car accident himself several years ago. Sean quickly saw the chaos that ensues when you are seriously injured and forced to miss work and other life events. Following his own accident, Sean promised that he would focus his legal career on representing clients who had been injured because of the negligence and recklessness of others. Sean has built a reputation for being respectful, charismatic, and honest, but at the same time aggressive and unwilling to compromise. Sean personally handles every single aspect of his clients cases and that is the key difference between him and other attorney's. Since 2012, Sean has handled hundreds of cases and recovered millions of dollars in settlements for his clients. Sean is currently admitted to practice law in all Kentucky state courts and the Western District of Kentucky federal court. His primary focus is Personal Injury - car accidents, motorcycle accidents, animal bites, nursing home abuse, premises liability, products liability, and medical malpractice cases. Tillman Law Office has two locations to serve individuals primarily in Jefferson, Oldham and Bullitt.